No one ever stops being a mom or a dad. So when our children become adults, we still worry about them—and want to care for them. One way we can still care for them is to lift them up in prayer. When we do so, God's love for them—and for us—is unleashed. We are able to replace our concern with a love that comes from the heart of God. Our Father moves mountains of worry and discouragement, leaving new refreshment and delight in its place. 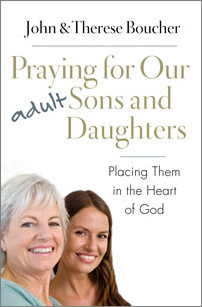 This book is designed for parents who want to pray for their adult sons and daughters with the kind of power that makes a real difference in matters of the heart. • Gives parents hope, encouragement, and a renewed commitment to pray and to relate lovingly to their adult sons and daughters. • Addresses the desire to be a better parent and shows how parents can best pray for specific needs. • Each chapter ends with a series of questions for reflection and introduces a "prayer skill" that will enable parents to persist in prayer and try new ways of praying for their adult sons and daughters. Study guide available on Amazon.com. Click to read a chapter in this book. 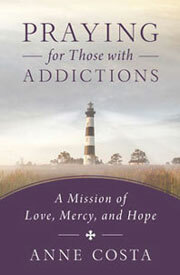 Click here to read the review in the October 2012 issue of The Word Among Us. "The multiple stories and anecdotes presented by John and Therese will grab the reader because we are all beset with similar circumstances that call for prayer. 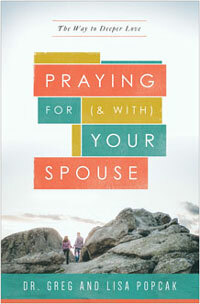 In this book, the prayer of petition and intercession comes alive through the context of our everyday relationships." 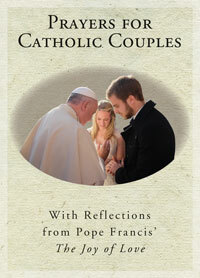 —Frank DeSiano, CSP, President, Paulist Evangelization Ministries, Washington, D.C.
Prayers for Catholic Couples: With Reflections from Pope Francis' "The Joy of Love"